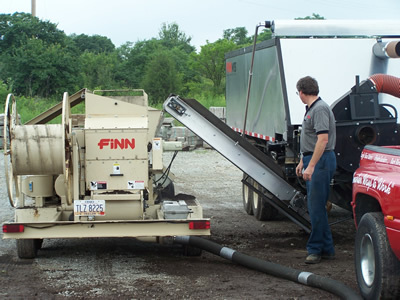 Finn has built many of the popular hook-and-go hydroseeders as well as hook-and-go bark blowers and skid mounted MTS units. 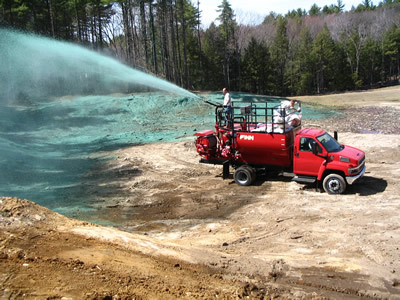 Many hydroseeders have been equipped with special features such as dust suppression systems for gravel roadways and construction sites, large spray platforms, stainless steel tanks, remote controls, additional agitators and special flush systems. Titan T330 with dual discharge mounted on all terrain vehicle. 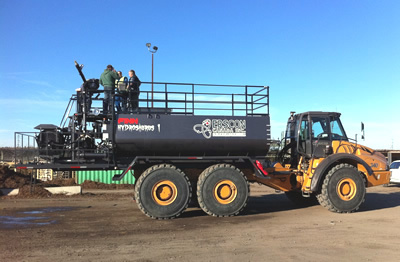 Finn T-330 Hydroseeder mounted on a John Deere Articulated All Terrain Dump Truck. 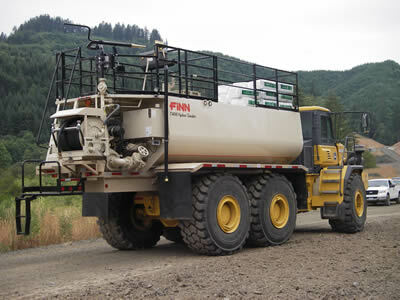 Finn T-120S Hydroseeder mounted to an under CDL truck, hook lift type system. 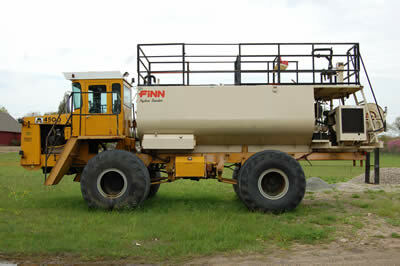 Finn T-330 Hydroseeder mounted to an All Terrain, low impact carrier. 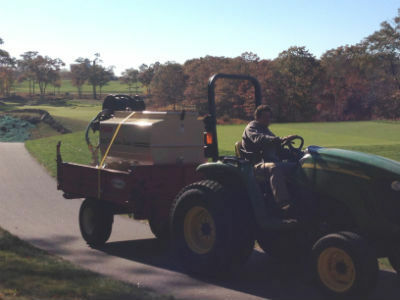 Unit was designed for use on golf courses. 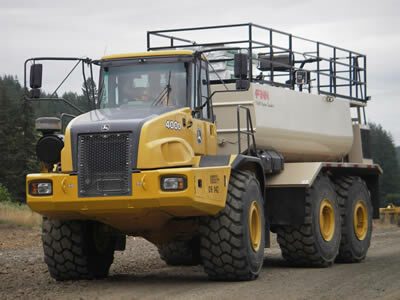 Finn T-330 Hydroseeder mounted on a John Deere Articulated All Terrain Dump Truck. Addition rear platform was added for storage and transport of more materials when moving into remote areas. 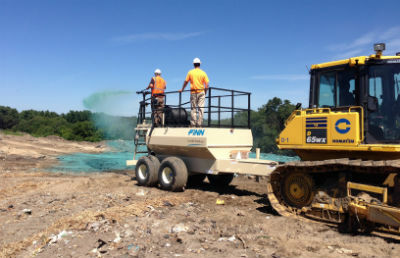 Finn LF T-120T Hydroseeder designed for landfill use. Machine equipped without fenders and with solid rubber tires. 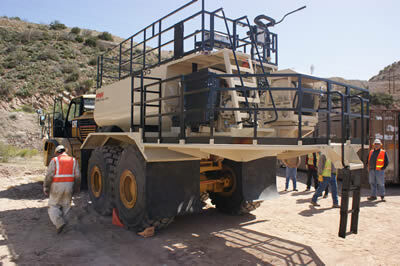 Axles are configured for greater ground clearance. 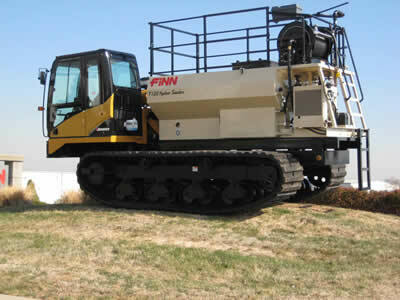 Finn T-120S Hydroseeder mounted to a Marooka rubber track, low impact carrier designed to access power lines, gas lines and other remote areas. Finn T170 JR. The Finn T170 is designed to be mounted on a 33,000 lb GVW truck. The tank size of this T170 was modified to fit a 26,000 GVW truck. Advantage T170 power on an under cdl truck. 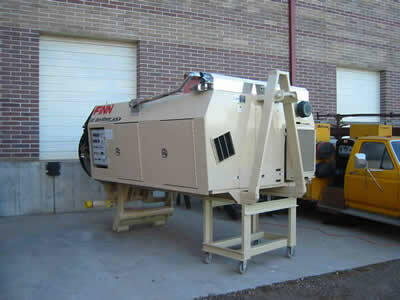 Finn BB705S Bark Blower designed as a hook-and-go unit. 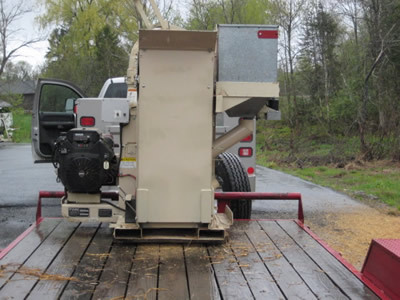 Finn B-40 Straw Blower configured with a seed injection system. 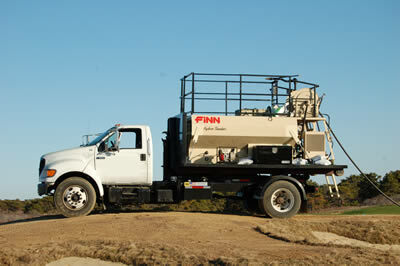 Finn MTS-15 designed as a skid unit, equipped with a side conveyor and mounted on an under CDL truck. Finn BB1208 Bark Blower designed as a hook-and-go unit. 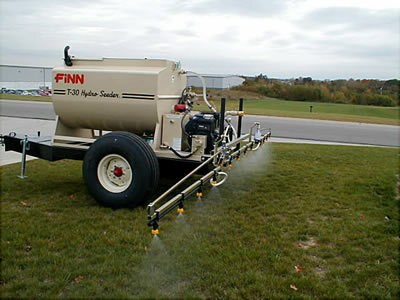 Finn T-30 Golf Course Hydroseeder. 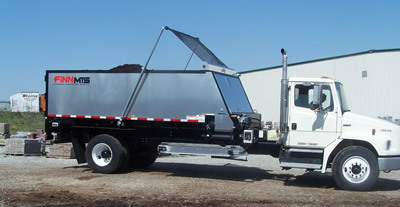 Unit was designed to hydroseed and to apply herbicides, pesticides and fertilizers. 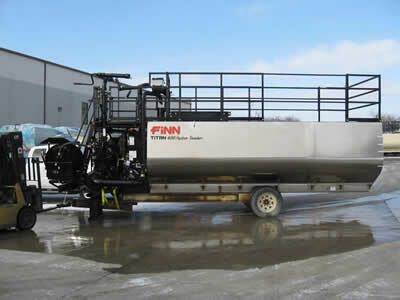 Finn T-400 Titan Hydroseeder designed as a stainless steel unit.